These terms and conditions ("Terms") apply to and regulate your use of the Standard Chartered biometric login service provided by Standard Chartered Bank (Bahrain) Limited (“the Bank" or “we” or “Standard Chartered”). By undergoing the registration process to use the Standard Chartered biometric login service, or using the Standard Chartered biometric login service, you accept and agree to these Terms. If you do not accept these Terms, please stop accessing or using the Standard Chartered biometric login service. 3.3 in the event of any conflict or inconsistency, these Terms shall prevail over the Customer Terms and to the extent of such conflict or inconsistency. 4.6 You should ensure the security of the security codes as well as the password or code that you can use to register your fingerprints or face id on the permitted mobile device. 12.1 You understand that the fingerprint or face id authentication module of the permitted mobile device is not provided by the Bank, and we make no representation or warranty as to the security of the fingerprint or face id authentication function of any permitted mobile device and whether it works in the way that the manufacturer of the device represents. 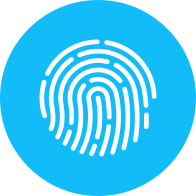 12.2 We do not represent or warrant that the Standard Chartered biometric login service will be accessible at all times, or function with any electronic equipment, software, infrastructure or other electronic banking services that we may offer from time to time. 12.3 Unless a law prohibits us from excluding or limiting our liability, we are not liable for any loss you incur in connection with the use or attempted use of the Standard Chartered biometric login service, or your instructions, or any unauthorised transactions through or in connection with the Standard Chartered biometric login service. 12.4 You shall indemnify us from all loss and damage which we may incur in connection with any improper use of the Standard Chartered biometric login service. Meaning of words permitted mobile device means Apple iPhone 5s or higher / Samsung Galaxy S6 / Samsung Galaxy S6 Edge Plus / Samsung Galaxy Note 5 and such other electronic equipment that we may enable for use with the Standard Chartered biometric login service from time to time and includes the operating system or software that the device operates on. Please contact us for the current list of such electronic equipment.